The kitchen sink is, indisputably, one of the most (if not the most) heavily used home fixtures. Wouldn’t it be great if your sink worked as hard as you do in the kitchen? 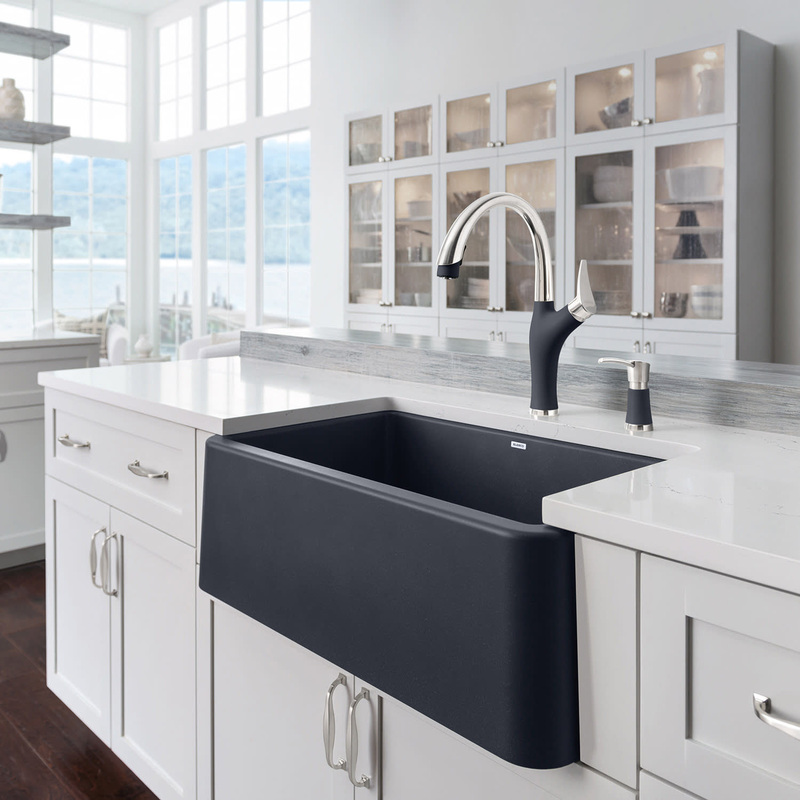 The new Blanco Ikon™ sink is the workhorse you’re looking for – and it looks beautiful while buckling down for serious kitchen duty. The Ikon™ is the first sink of its kind: an apron-front sink made of ultra-cleanable, super-durable, extra-gorgeous granite. 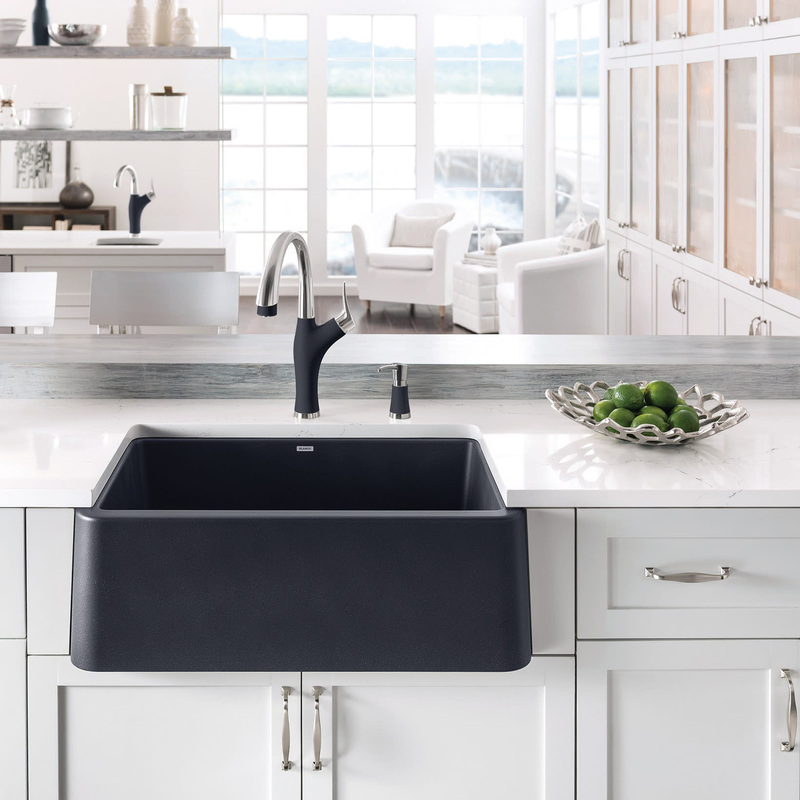 With the Ikon™, you’ll get the beauty and durability of granite, the versatility of a deep (9.75″), wide (30″ overall) undermount sink, and the enduring stylishness of an apron-front in one industrious package. What makes the Ikon™ special? It’s composed of Blanco’s patented Silgranit®, a rock-hard material designed to withstand heat up to 536° F, resist scratches, stains, acids, and alkali solutions, and maintain its lasting beauty for years. It boasts unsurpassed cleanability, backed by an industry-leading 7 patents to ensure that you don’t have to work any harder than you already do. Plus, its limited lifetime warranty ensures your satisfaction for the life of your kitchen and beyond! Available in three colors – white, anthracite, and cafe brown – the Ikon™ fits effortlessly into every kitchen. Want it to fit in even better? 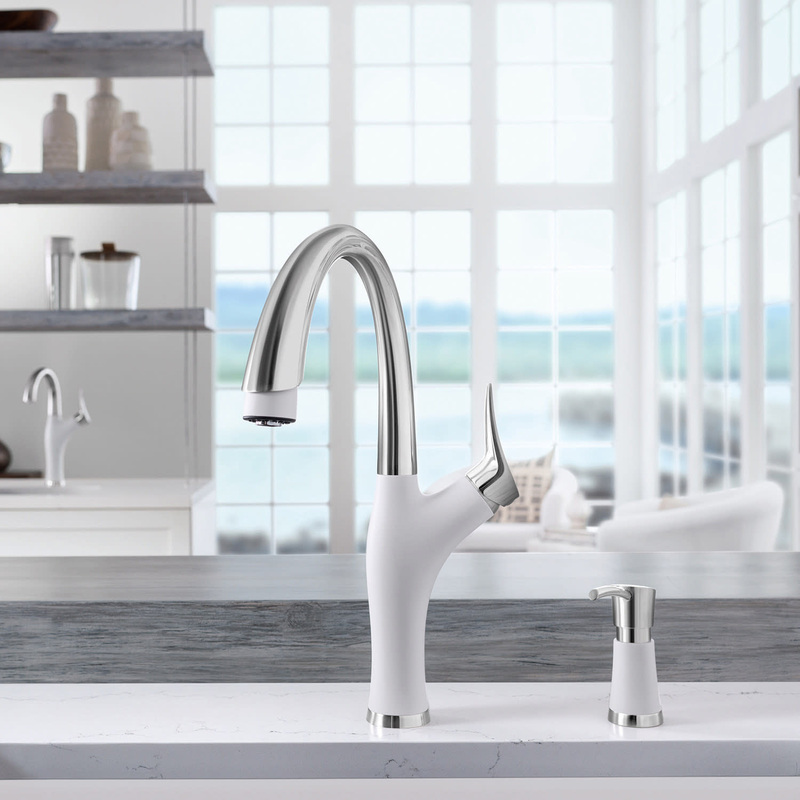 Pair it with a masterpiece from the Artona kitchen faucet collection. The dual-color faucet features an accent in tones to complement 6 Silgranit® finishes – anthracite, metallic gray, cafe brown, cinder, truffle, and white – and is also available in solid chrome and stainless versions. The dramatic collection includes low-flow and regular faucets, a soap dispenser, and a bar faucet to suit your needs. Ikon™ and Artona: the perfect pairing for the hardworking chef – with a discerning eye. Now is the time to purchase an Ikon™ sink at a special price for a limited time, only at Quality Bath.